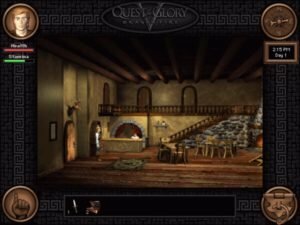 QFG V: Dragon Fire has its ups and downs. 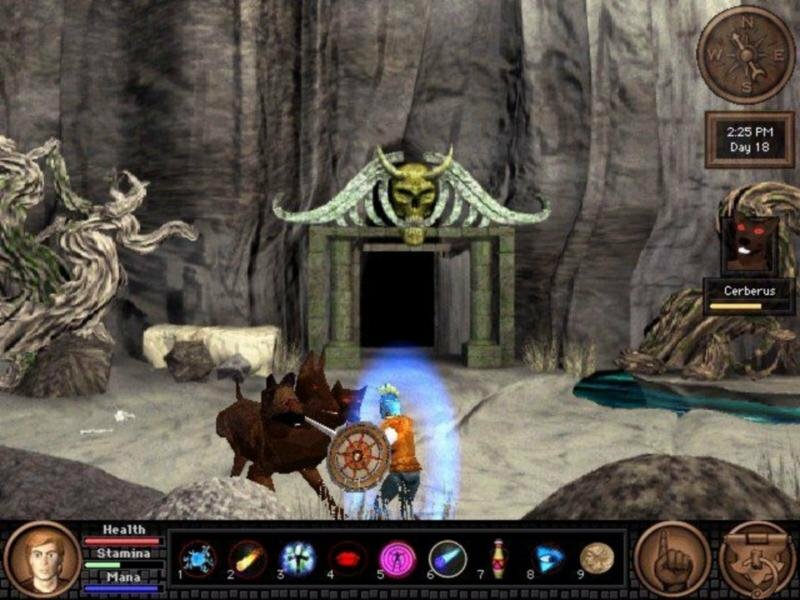 Dragon Fire, the fifth release in the successful Quest for Glory series, is all about combining the character development of a role-playing game with the puzzle-filled environments of an adventure title. 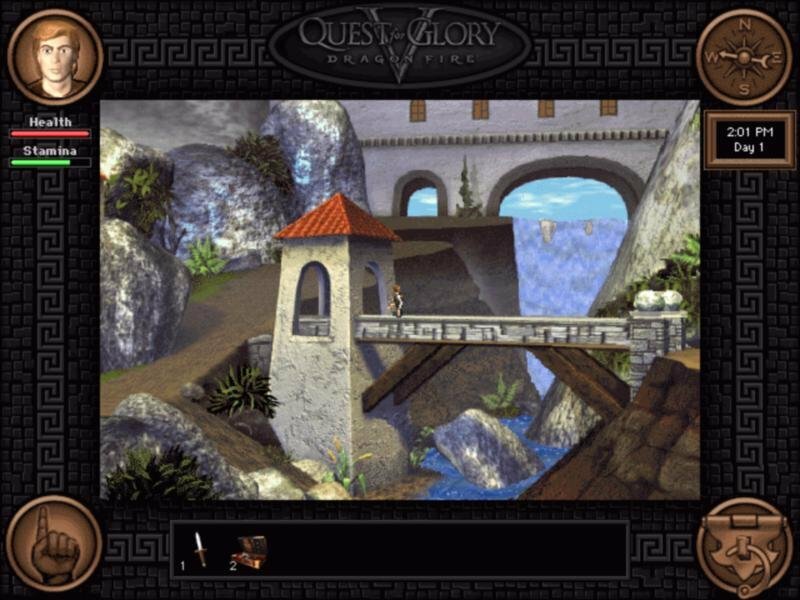 Our hero travels to the city of Silmaria as one of five heroes to compete in the seven deadly Rites of Rulership. 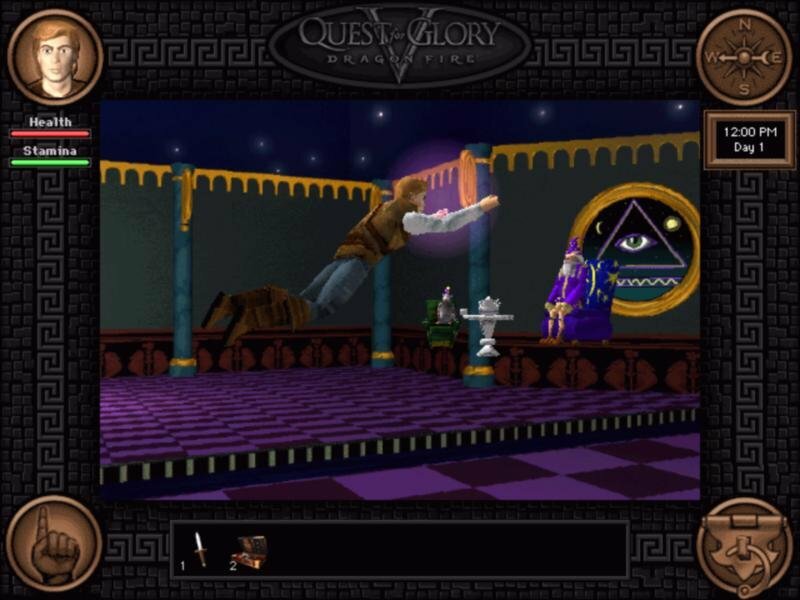 The former king has been assassinated and the rigorous competition has been designed to both save the kingdom and crown the winning hero as the new king. 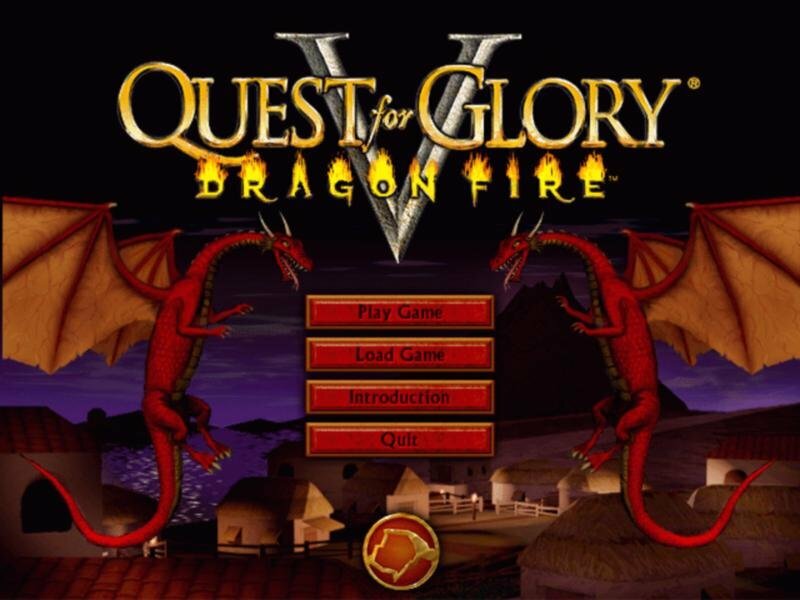 Dragon Fire is easily the most different game of the series. 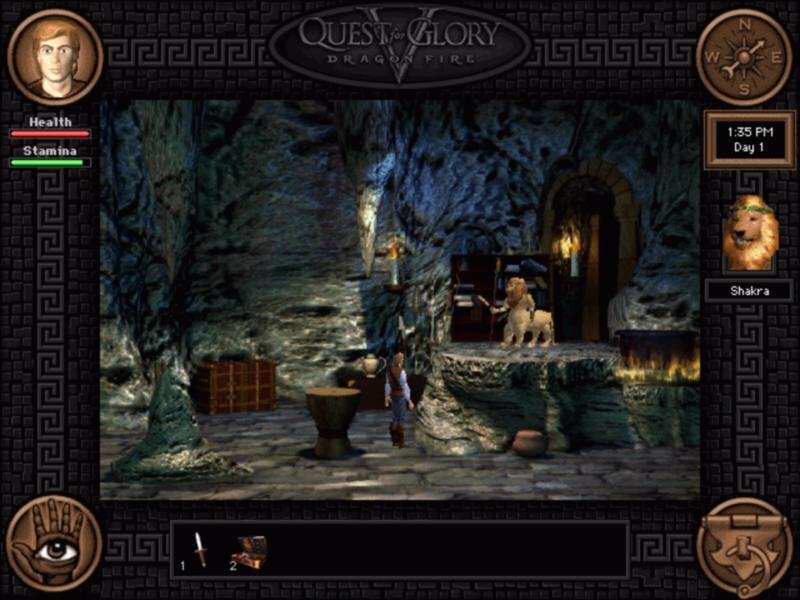 The hand-drawn environments have been replaced with pre-rendered 3D art, and 2D character sprites are superseded by actual 3D models. 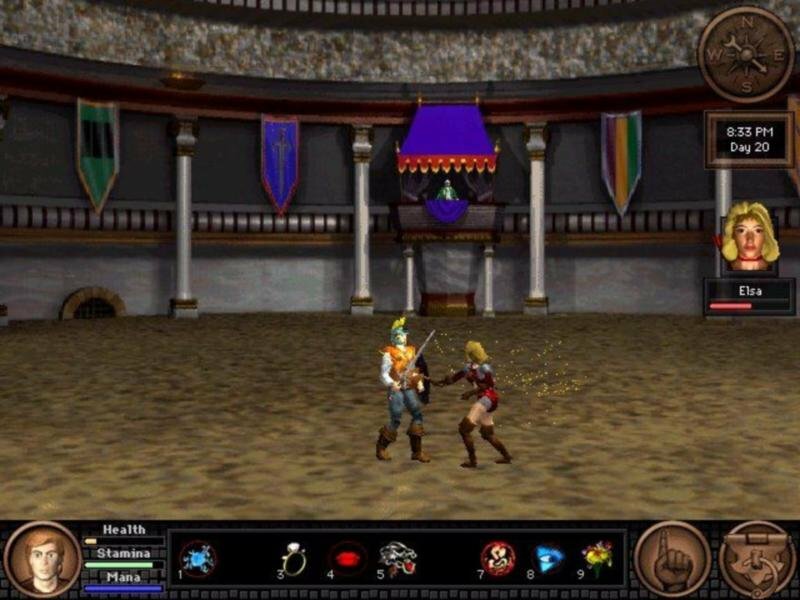 Whether you enjoy this new artistic style or prefer the old one is up to you, though it does undoubtedly give the game a more modern look. 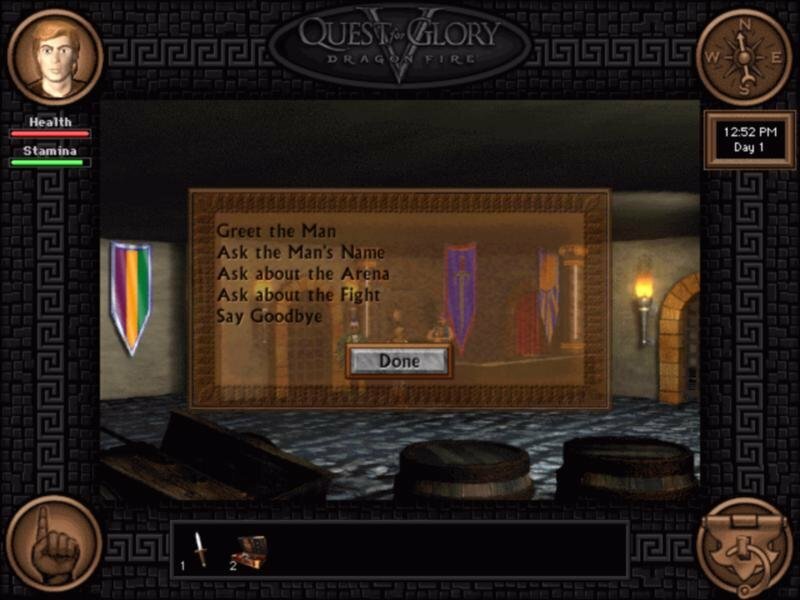 The interface has been changed as well, though not always for the better – perhaps the most annoying move was placing the message box at the top of the screen, making you have to look up every time you examine or try to use an object. 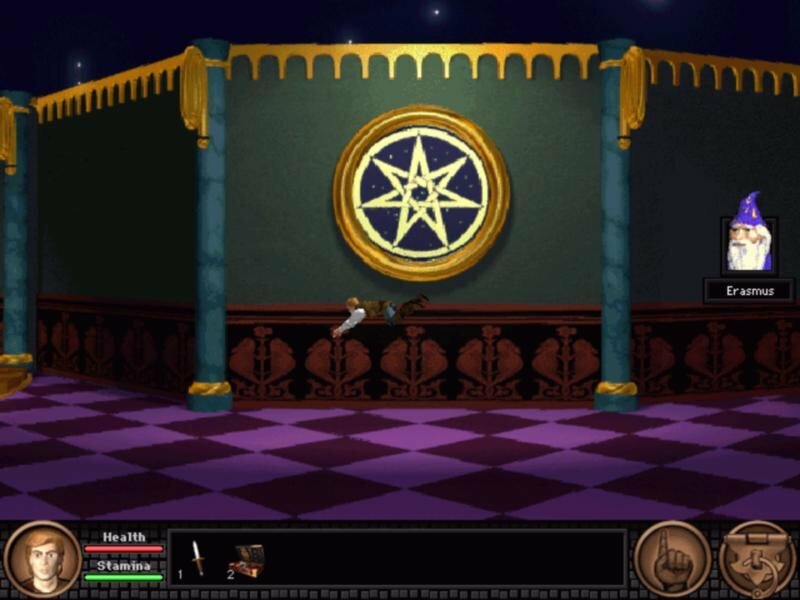 But overall the game is easy to play with either a mouse or keyboard, and the game’s puzzles range from magnificently moderate to diabolically difficult. 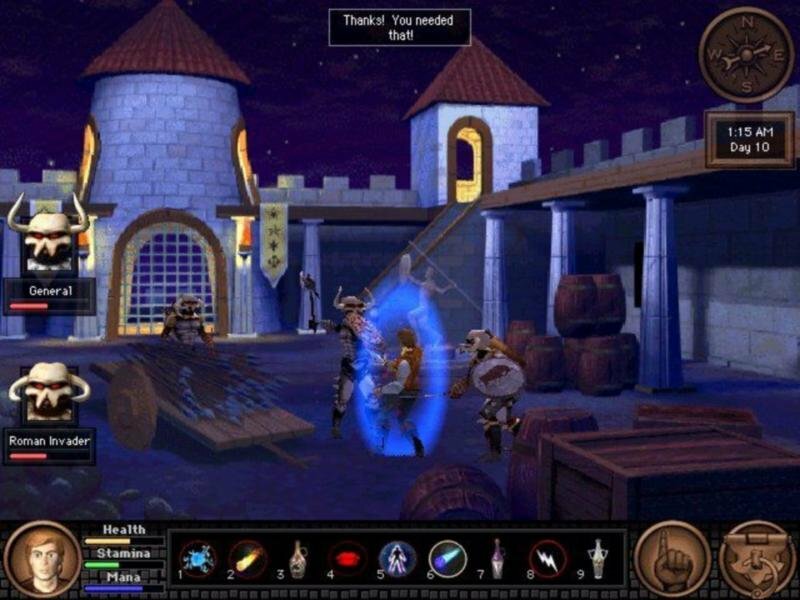 It doesn’t take much more than thirty hours to finish the essentials in Dragon Fire, but players may extend game play by choosing a different type of hero to play, and doing it all again. 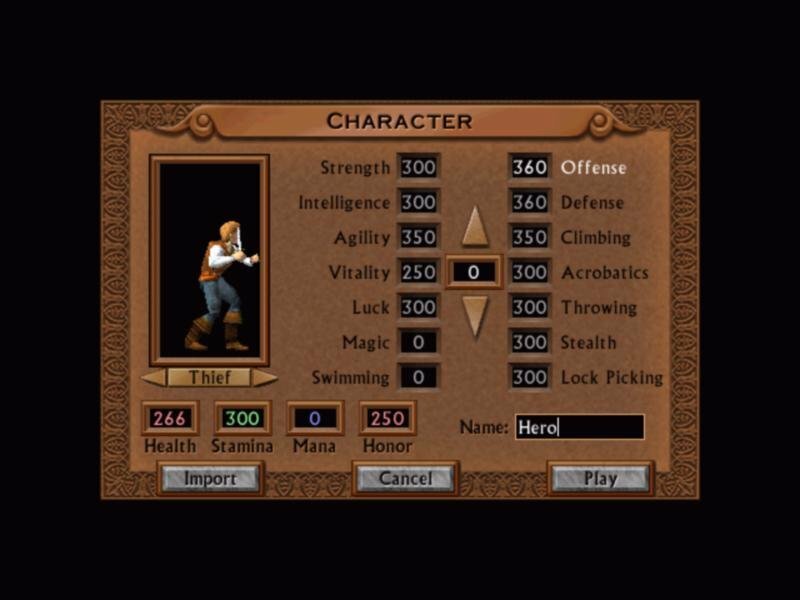 The available types include warrior, paladin, wizard or thief. 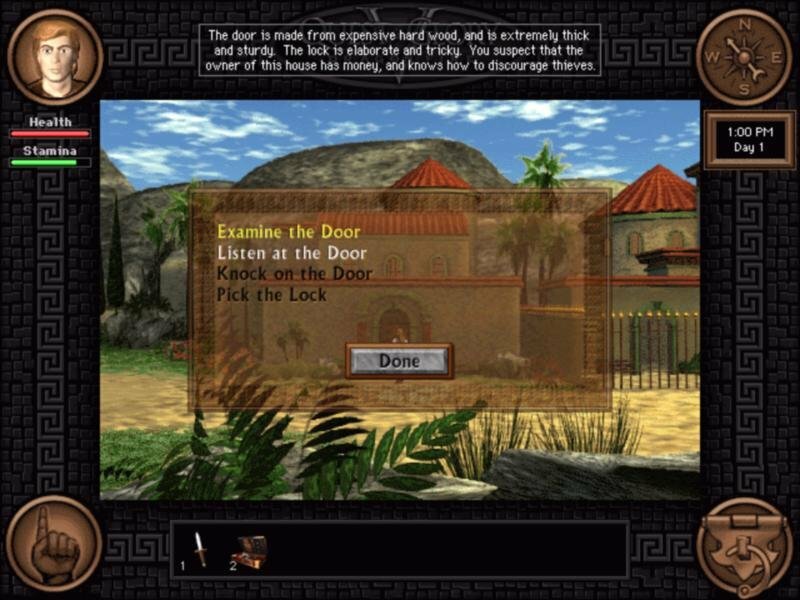 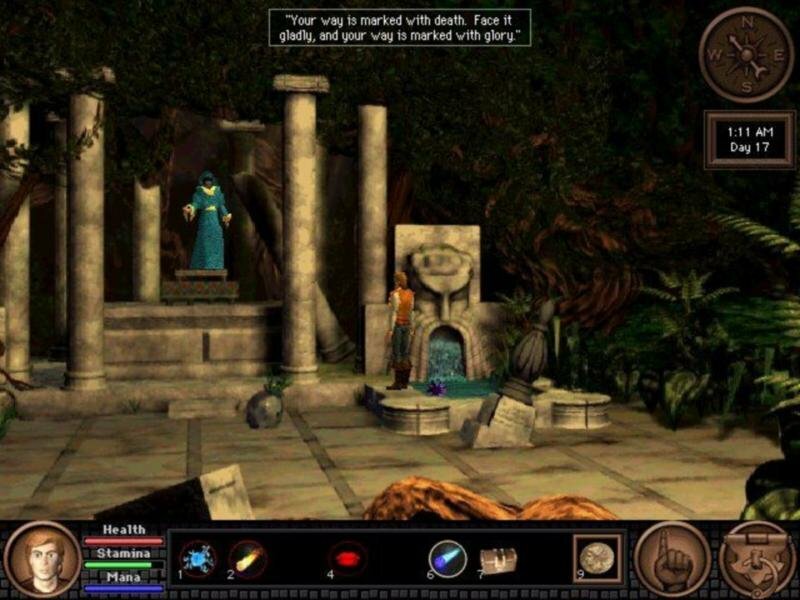 Each type must use different skills in order to solve the game’s puzzles. 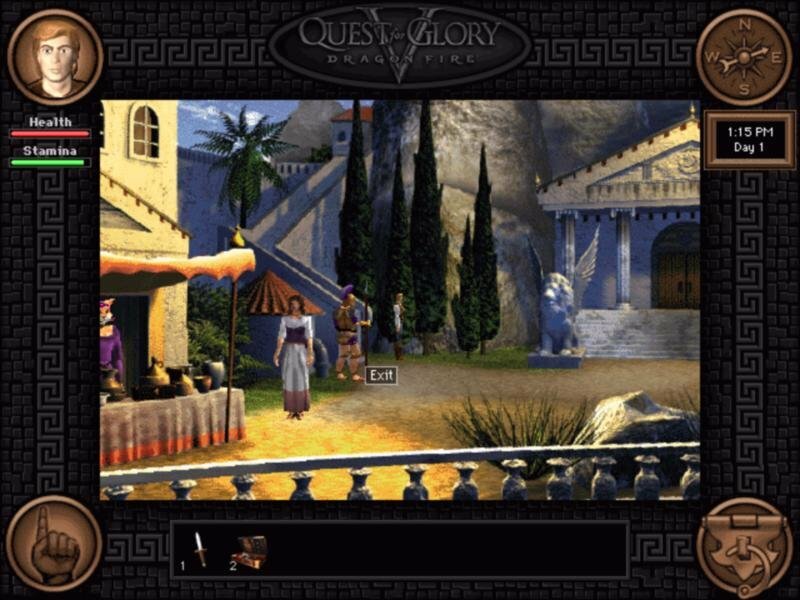 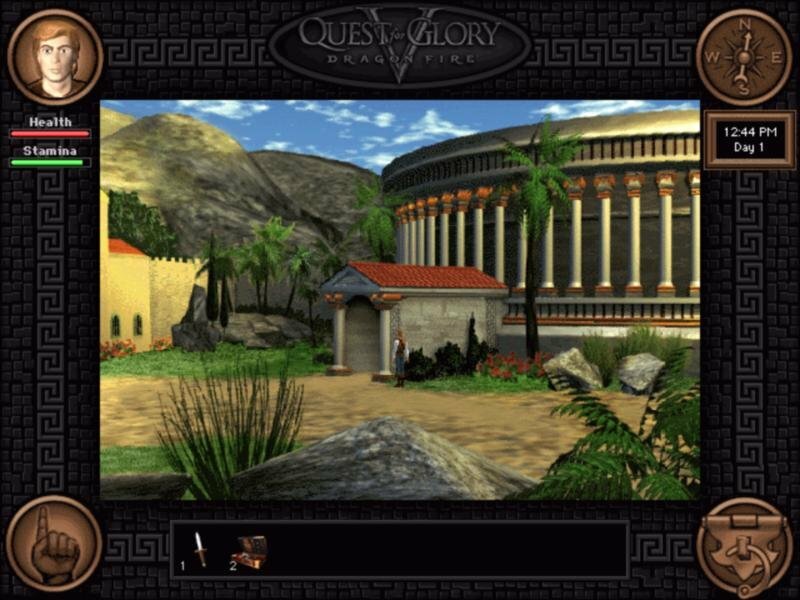 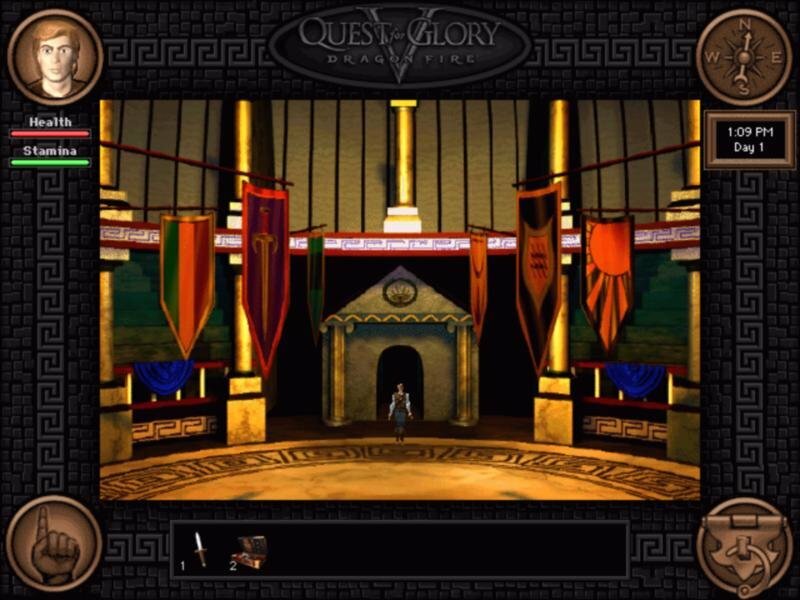 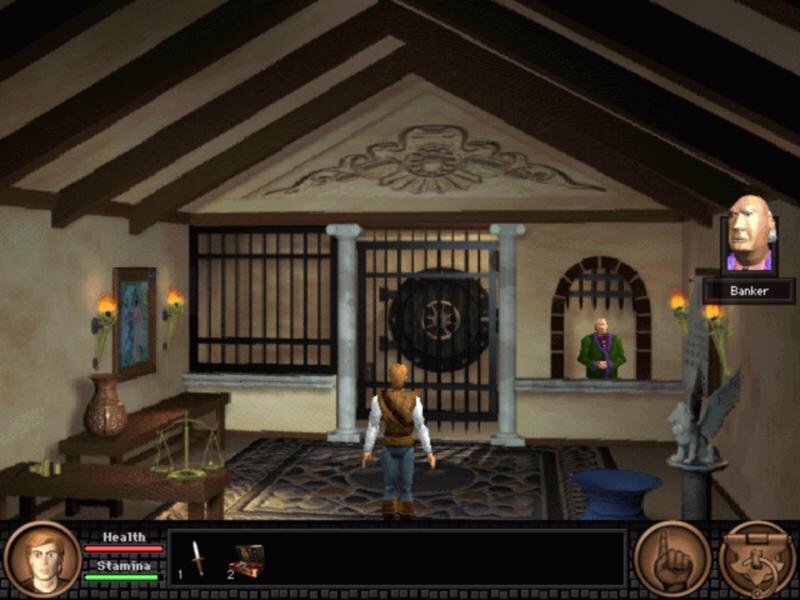 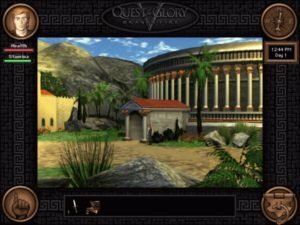 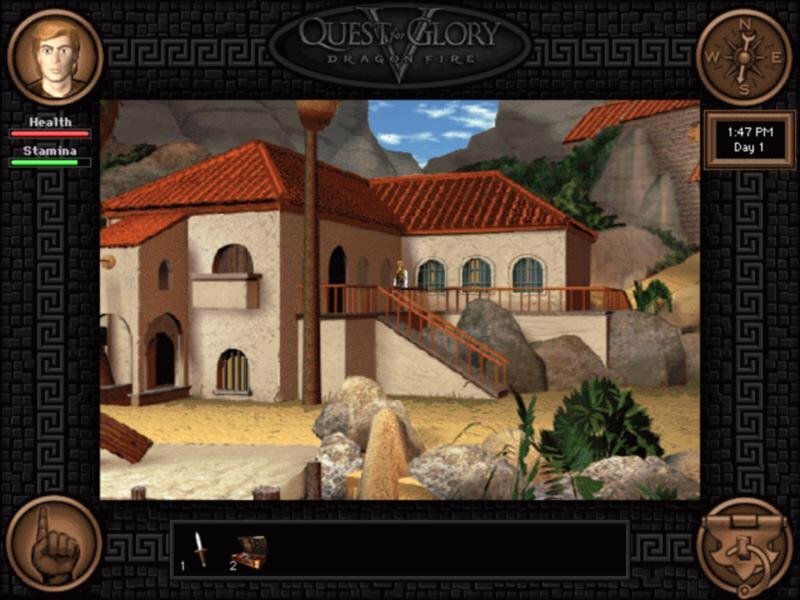 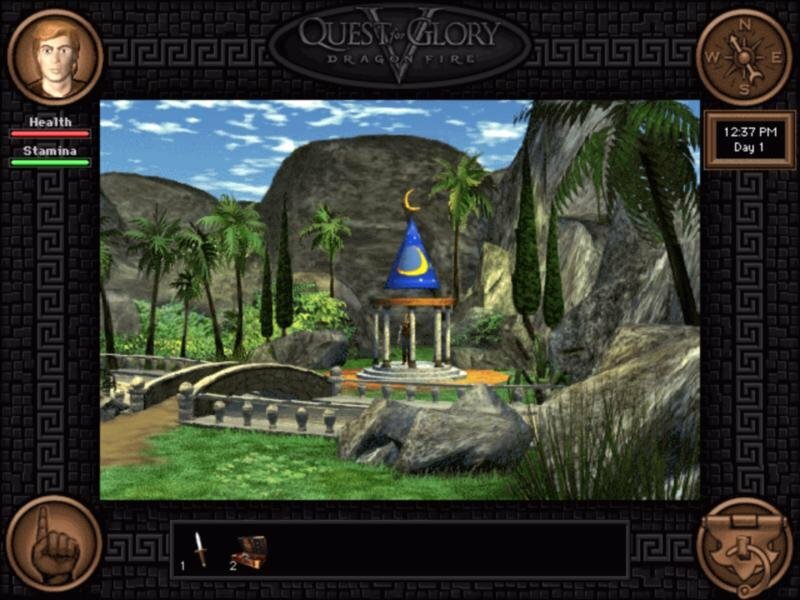 A player need not have played any of the other games in the Quest for Glory series to understand or enjoy this one, but diehard fans who have completed the series and have kept their character files can import them just as they could with older titles. 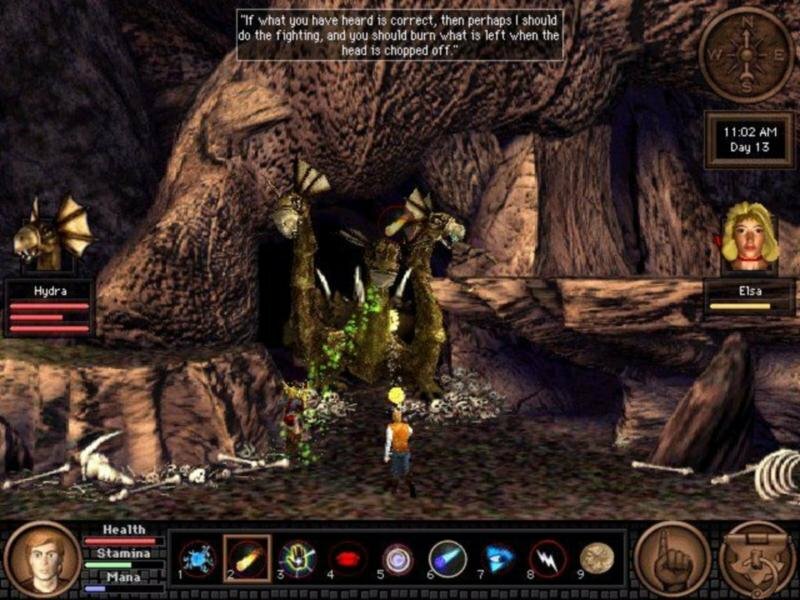 Despite the game’s shortcomings, its high-quality story, characters, puzzles and dialogue make Dragon Fire an approachable and even fun game for seasoned adventure players.